Roll away your so comfortable and efficient! 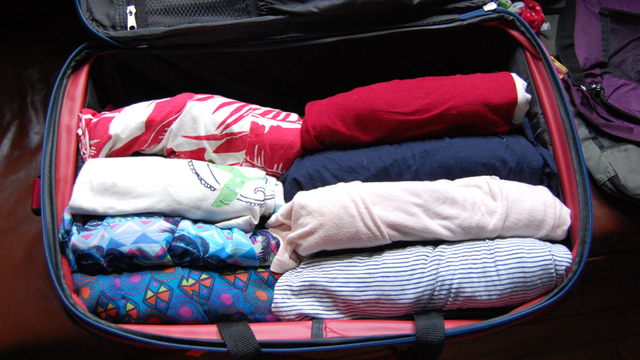 Roll up the shirt will make a lot of empty space inside a backpack or a suitcase. In addition take advantage also of empty space inside the shoe to contain a thin t-shirt or socks.